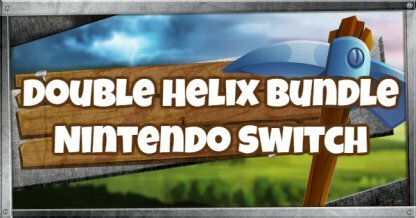 The Double Helix Bundle with Nintendo Switch is coming on October 5, 2018! Find out how to get the exclusive Fortnite Bundle included with the Switch console and check out the Skin, Glider, Pickaxe, and Back Bling contents! 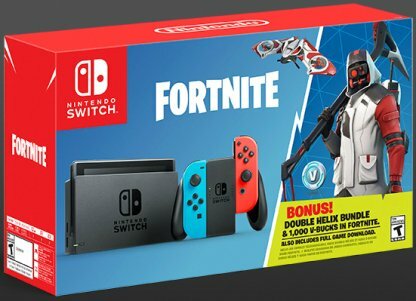 Nintendo announced that the Nintendo Switch will have a exclusive Fortnite bundle called the Double Helix. Check the official Nintendo Switch page on October 5, 2018 to see available retailers for the Nintendo Switch that comes with the Double Helix Bundle. Since the release of the Double Helix Bundle with Nintendo Switch will roughly coincide with the start of Season 6, consider using the 1,000 V-Bucks included to purchase a Battle Pass!